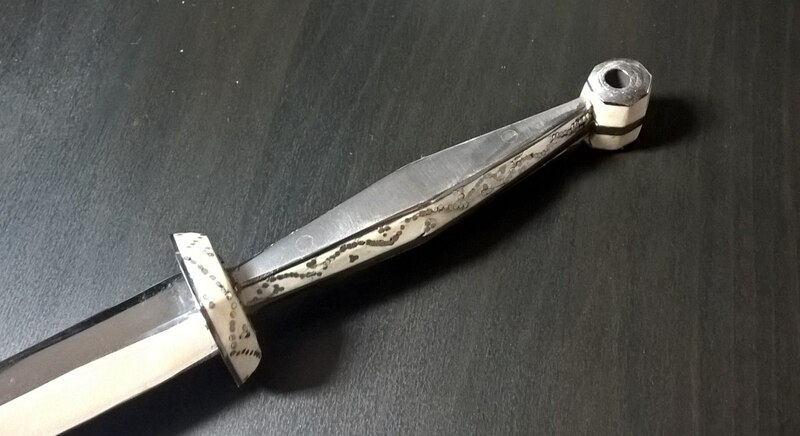 A Bone and Silver Roundel Dagger, late XIVth-early XVth century. 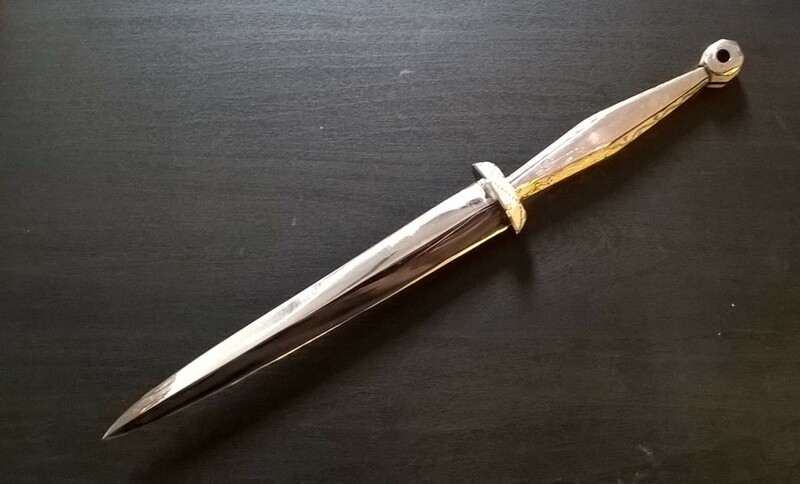 A very typical and elegant, slender version of such daggers known from various surviving examples. Scales and guard are cow bone, blade is high carbon steel, fittings are steel. Each visible facet of the bone is decorated with sterling silver nails - hundreds of them in total (I confess I did not count how many). 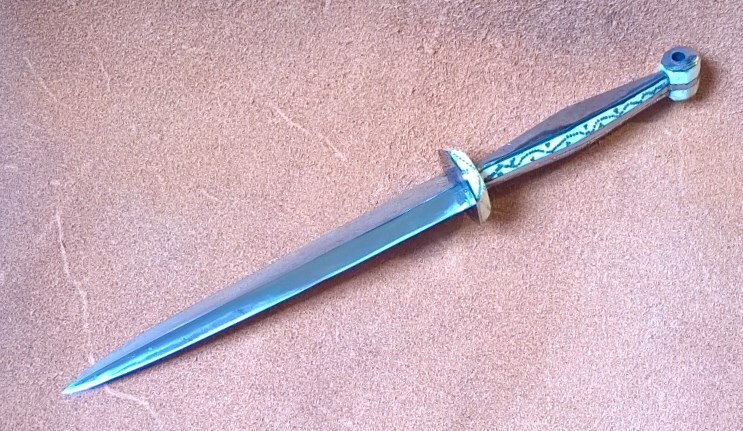 OAL 288 mm, 170 mm blade.